Since the ‘Era of Trump’ began, America has been subjected to significant change. One of Trump’s major changes includes America’s retreat from the Paris Climate Agreement. Many American citizens know that Trump refers to climate change as ‘Fake News,’ however, not everyone feels that way. There are individuals and communities that are willing and able to take necessary actions to fight against climate change. Within the last year, nine U.S. cities have started the process of suing Big Oil companies. Some of the most pronounced oil companies involved are BP, ExxonMobil, Chevron and Conoco-Phillips. Of the cities that have filed lawsuits, eight are located in California. The other is in New York. New York City’s lawsuit is in reaction to the various severe storms and hurricanes that have recently hit the East Coast. These storms have left New York City with billions of dollars of infrastructure damage. San Francisco, San Mateo, Richmond and many other California cities are also acting in the best interests of their citizens; the increasing concerns regarding coastlines potentially being washed away by rising sea levels have caught the cities’ attention. Both coasts of the United States have legitimate concerns for their cities but are unable to provide what’s necessary to secure their infrastructure. This includes but is not limited to building wall blocks and repairing the damages caused to the cities. The aftermath of severe storms has left Mayor de Blasio and the citizens of New York City with intense destruction and remnants of lives in the neighborhoods of New York City. As a result, Mayor de Blasio has decided enough is enough. 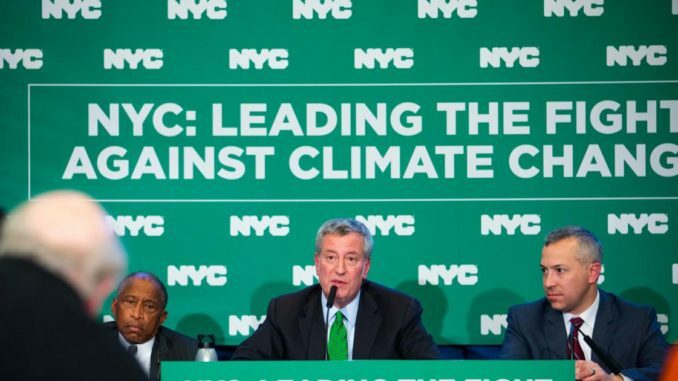 He specifically states in a press conference from early January, “We’re going after those who have profited…it’s time that they are held accountable… it is time that things change in the way we do business.” New York City is also taking this call-to-action a step further. Aside from suing the aforementioned corporations and others, the city is also divesting $5 billion from fossil fuel companies as well as an additional $33 million from coal within the next two years. These cities are mirroring the lawsuits against Tobacco companies from the 1980’s-90’s. Each lawsuit considers this a ‘public nuisance’ meaning that under common law the companies are causing injury to the communities. Many claim that the oil companies have been aware that their business in oil has detrimental effects to the climate through environmental degradation since the late 1950’s. Inside Climate News specifies that not only did these companies know of the damage they are causing, they ‘”orchestrated a campaign of deception and denial regarding climate change” by funding efforts to discredit science on the matter. According to the article, this is despite the fact that scientists had warned them of the risks and the role of fossil fuels in causing climate change. 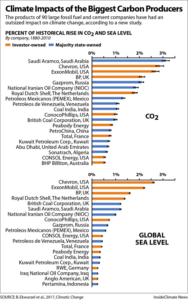 Beyond the deceit of continuing to produce a dangerous product, research now shows the specific carbon contributions of each company. 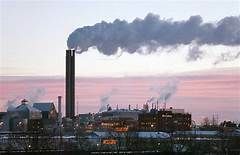 Through the collaboration of two universities and a group known as the Union of Concerned Scientists, researchers calculated the extent to which climate change was a result of additional emissions by firms. Through this research, they determined that 90 companies accounted for approximately 42-50% of the global temperature increase and 26-32% of global sea level rise from the late 1800’s. Among these 90 companies, BP, Shell, ExxonMobil, and Conoco-Phillips fall in the top ten! Other comments from these corporations agree that while climate change is a global issue, it “should be addressed through sound government policy and cultural change to drive low-carbon choices for business and consumers, not by courts” (quote from Curtis Smith, head of Shell’s U.S. Media Relations). ExxonMobil furthermore states that it welcomes any goodwill attempt to assist in the fight against climate change, but does not believe lawsuits are the way to go. Steve Berman is now representing Oakland and San Francisco in their fight against climate change. The renowned attorney is known for fighting on behalf of the people vs. large corporations (specifically the $200 billion lawsuit against Tobacco companies in the 90’s). He specifies that we live in an age where the government is denying the existence of climate change and the EPA is rolling back its regulations. He states that suing these companies is one of the ways we can act to make real environmental impact. And with the current research at hand, he believes an incredible impact can be made! So, will suing all of the large oil companies solve climate change issues in the long run? Will there be challenges ahead? Is this, at least, raising some attention to how crucial this issue is? We cannot wait until entire states have been wiped out to act upon climate change. “Climate change is real. It’s a painful, horrible reality,” stated Mayor de Blasio during a press conference in early January. We, as individuals and citizens, must begin to realize that climate change is REAL! We can all take action to help reduce and potentially reverse climate change.